Love learning? Curious about hot topics in today’s water issues? Want to discover jobs in water-related fields? 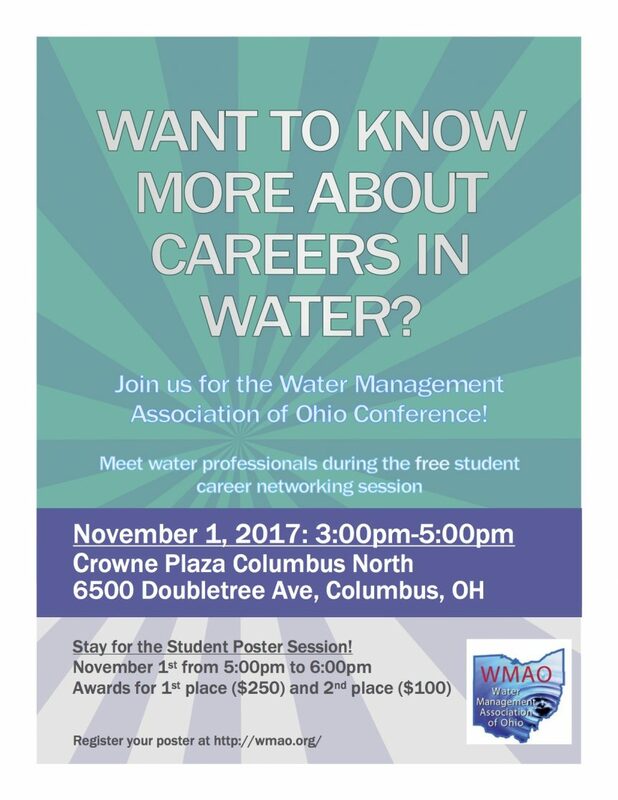 On November 1, the Water Management Association of Ohio will host a career networking session where students will be able to meet working water professionals. Students may also stay to see winning posters in the categories of dam safety, floodplain management, lake management, stormwater, watershed management, drinking water, ecology, education and outreach, and fisheries. The winning posters and oral presentations will be awarded $250 or $100 for the best visual representations of water research.